If you have used the Report Wizard and get this message after selecting your data source…. then what you need to do is create a file named “Connections.xml” if it doesn’t exist in the folder listed in the report. You can create a blank text document and rename the file. 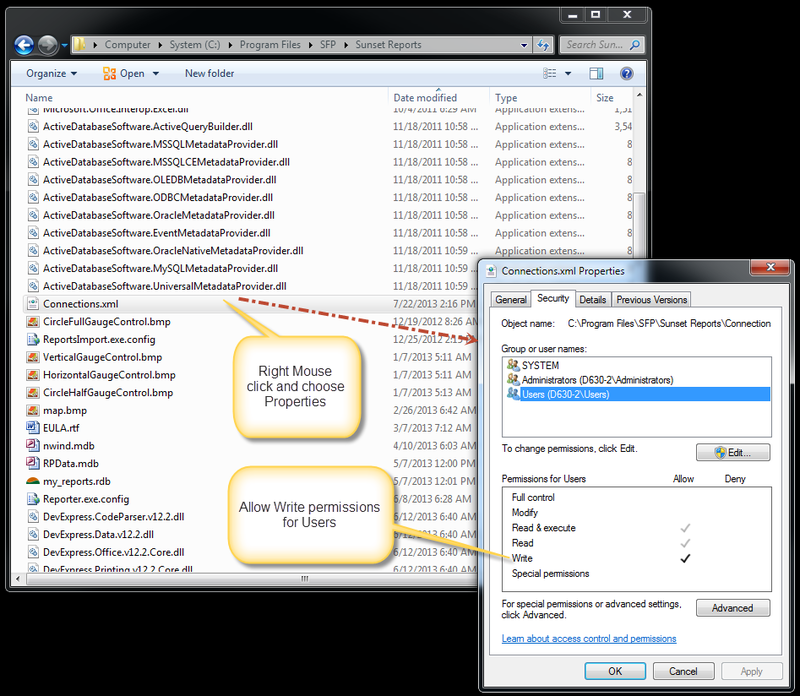 Then you need to change the permissions on the file as shown in the following figure. You should then be able to run the Report Wizard without any issues.